I've Read Every Israeli Election Polls Since January. So What? In late December, Israel called early elections scheduled for this week. Looking back now at the polls as they unfolded from late January should give us some indication of what we will expect on Election Day. But as we learned from the previous Israeli elections, and from some elections in other countries, polls don't always tell us what we want them to. Very little has shifted since late January and February 21, when the Blue and White Party was announced, combining Benny Gantz's Israel Resilience Party and Yair Lapid's Yesh Atid. Blue and White got a big bounce from the union, appearing to offer new leadership and hope for the future free from some of the scandals and ossification that have crept up around Benjamin Netanyahu. The problem with polling well early in any election campaign, is that one only has ground to lose. That has been the case in Israel as well. This election season has been particularly brutal when it comes to mud-slinging against Blue and White that began in late February and lasted until late March. Along the way, Blue and White lost ground, from its peak of polling in the 35-36 seat range, to falling below 30 seats for the first time in an March 19 Walla poll, and an April 2 Channel 13 poll. In mid-March, Likud was beating Blue and White in Kan and Walla polls. It beat them again in a Walla poll on March 27. The overall trend in the first week of April has been that both Likud and Blue and White appeared to lose a combined several seats, from both receiving 60 seats combined, to receiving only 55 in a Jerusalem Post poll on April 5, and 56 in a Channel 2 poll the same day. What this tells us is that there is overall erosion in both Likud and Blue and White. Where are the votes going? Most other parties haven't varied much since February. Labor usually gets nine seats; Hadash-Ta'al six to eight; United Torah Judaism gets around six or seven; Shas between four and six, New Right and Meretz between five and six; the URP between five and seven; Zehut, Balad-Ra'am and Kulanu four or five; and Yisrael Beytenu around four. Gesher rarely passes the threshold of 3.25%. So what does this tell us? Not much. Israel is an extremely divided society in some ways, with numerous little sectarian parties across the political spectrum. But while they are divided, the electorate has a lot of consensus on some issues. Are there really huge differences between the center-right and center-left on core issues? Voters are given some lip-service in the run-up to the elections, with promises about standing up to the Supreme Court, or annexing territory, or which party is the "real Right," the "authentic Right," the "realistic Right" or the "right Right." But are there really deep serious differences in the gray areas where parties overlap, such as parts of Labor, Meretz and Hadash? Or Parts of Kulanu, Blue and White, New Right and Likud? Or Shas and UTJ? Or Balad, Ra'am and Ta'al? 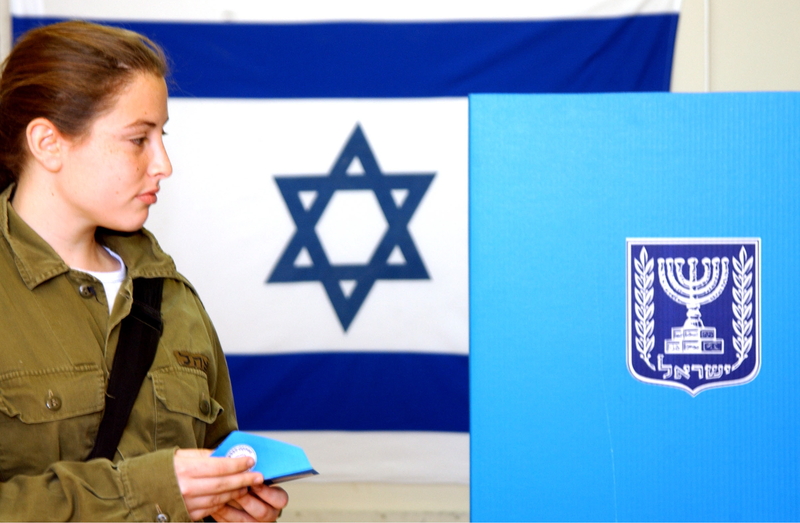 Israel, like many countries, is going through its third democratic revolution phase. The first democratic revolution was in the founding of the state. The very miracle of having a democracy is exceptional, like all democracies that are born fragile. The second revolution was in 1977, when a change in power took place. These kinds of changes have occurred in other countries, whether Turkey, India, Mexico or Italy, in various periods, when the consensus "founding parties" melt away and a new party, usually on the Right, emerges. Then the third democratic revolution arrives, when the weakening of the traditional Right and Left means smaller fringe parties are able to make inroads. In large two-party democracies like the US, what happens is that each large party simply has a wing that is gobbled up by some new force, like the Tea Party or the Progressives in the US. In Israel it's a bit different, because everyone just creates their own party rather than fight for space among the elephants. But the result is the same. The result in Israel is a large washing machine of centrist parties, like one of those galaxies that gobbles up parts of other galaxies and spins off new ones. Anyone who has watched the politics in Israel over the last decades knows there are a large number of undecided voters, and that there are a lot of populist centrists waiting to see who can replace the last populist centrist flavor-of-the-election party. This year, Zehut is filling part of that gap, promising some sort of alchemy of far-right/libertarian concepts that are the same ones that enabled people to vote for Bernie Sanders and then vote for Donald Trump. The searchers are always looking for some new exotic electoral promise. Zehut has several. Like every country, Israel has its party stalwarts, the people who vote the same in every election. And it has some who slowly drift like icebergs from part of the Left to the more extreme Left, or from the Left to the center. But it doesn't have parties that offer some huge change or a public looking for that change. This is reflected in the polls. There really isn't some great game-changer. There is no evidence the announcement of an intention to indict Netanyahu hurt his polling numbers. In fact, it may have helped them. There is no evidence last-minute election shenanigans, like Netanyahu suddenly appearing for TV interviews, has harmed or helped him much. And all the innuendo about Gantz, whether it was a bumbling interview, or his earlier scripted interviews where he came off a bit wooden, hasn't dramatically harmed the party. The latest whispering campaign appears to push for Gantz to dump Lapid, with rumors that it is dragging his numbers down. An April 2 poll by Channel 13 appeared to indicate that if Gantz gave up on his rotation agreement with Lapid he'd do better in polls. But at the same time, it was polls about combining their lists that brought Blue and White together. So it's hard to believe anything, except that people being polled like to be a bit critical. The grass, for them, is always greener somewhere else. Are we to expect a major change between now and election night? In 2015 the final polls before the election were way off for Likud. Channel 2 gave Likud 22 seats and it got 30. Channel 10 showed Likud with 20 seats. The polling for Zionist Union was relatively accurate, as it was for many other parties. However the far-right and Jewish Home came in under their polls, as their voters evidently moved to Likud in the last days. Oddly enough, Netanyahu anticipated this earlier in this election, scrapping to find more right-wing votes and being criticized for allying with "Kahanists" because of it. So what does the 2015 election tell us about polling? It tells us that for many of the smaller parties, particularly the more sectarian ones, the polls tend to be accurate. Ultra-Orthodox Jews don't say they will vote for UTJ and then vote Likud. Arabs don't say they will vote Balad and then vote Meretz. Of course, in the blubbery center one never knows. People do say they will vote for one thing and then do another. And there are legions of undecided people, and people who like to tell pollsters something wrong. And there is a chance of some last-minute "maneuver" by one party or another. But the fact is, the Israeli electorate is looking at known quantities. They know Lapid, Bennet, Deri and Odeh. They also know what Gantz promises: an alternative to Netanyahu, but not so much of an alternative that they won't know what the country will look like in five years.